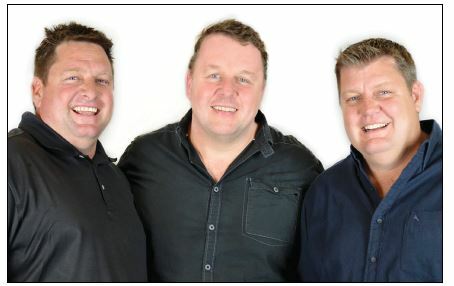 DNA Print was born in 2006 and is run by three brothers, Doug, Greg and Hilton. Each of the brothers carry unique strengths which add to the DNA of the company and the relationship between the brothers brings a diversity of strengths and creates an environment of honour where the staf thrive and our customers beneft. From early in 2007, a plan was hatched to do something unusual and unique in the printing industry. Not satisfed being a full service print organisation ofering the highest levels of quality and service, we wanted to do something diferent, we wanted to make magic, to bring our customers dreams to life, thus our motto. DNA is highly regarded by all its customers, having forged a number of close, confdential and long standing business relationships by listening, understanding and meeting their needs. The company has an excellent reputation within the graphics and print trade and works closely with many of the leading creative agencies. In order to achieve exceptional quality time after time, DNA combines the latest technology with environmentally friendly processes. DNA has a fully equipped design studio so we can either accept your fles or create something special in house for you! We have the latest machines in our digital department, which enables us to get out that rush job you needed on the same day. We have an MGI Meteor which gives litho like quality and is economical on runs from as little as 10 copies. We also have a large format print and cut machine to do short run poster and labels. DNA has a wide-ranging customer base, from publishers, NGOs, mailing houses, large corporates to advertising agencies. DNA is very proud to be the official printer of The Sharks. 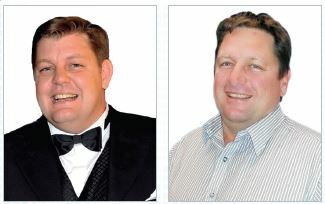 The same sharp, highly competitive ethos that makes The Sharks leaders on the rugby field, motivates them to be leaders of the printing pack in KZN and, indeed, in South Africa. 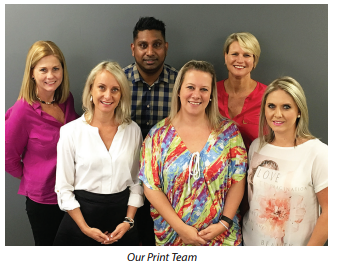 DNA's blueprint is market leadership through excellence, value and customer satisfaction in all they produce, which includes stationery, leaflets, brochures, folders and catalogues to magazines, books and more. DNA understands the need for fast, easy and transparent communication and seeks to foster open, mutually benefcial relationships between potential customers, clients, staff, suppliers, trade and the industry in general. The company is bound by its slogan: "We bring paper to life. We trade on our reputation for giving that fresh new edge to your products. We are passionate about our industry, look to the future, and value every order with which we are entrusted. Whatever your print needs, DNA Print promises the same high level of integrity, attention to detail and professional care to every job. We strive not to be the biggest, but rather, the best!"